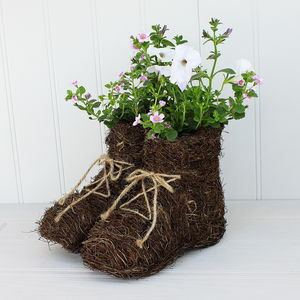 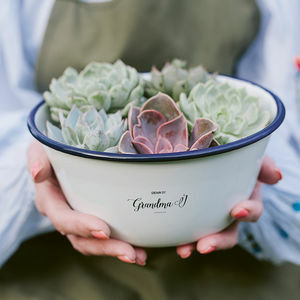 Ideal for a potting shed or contemporary interior! 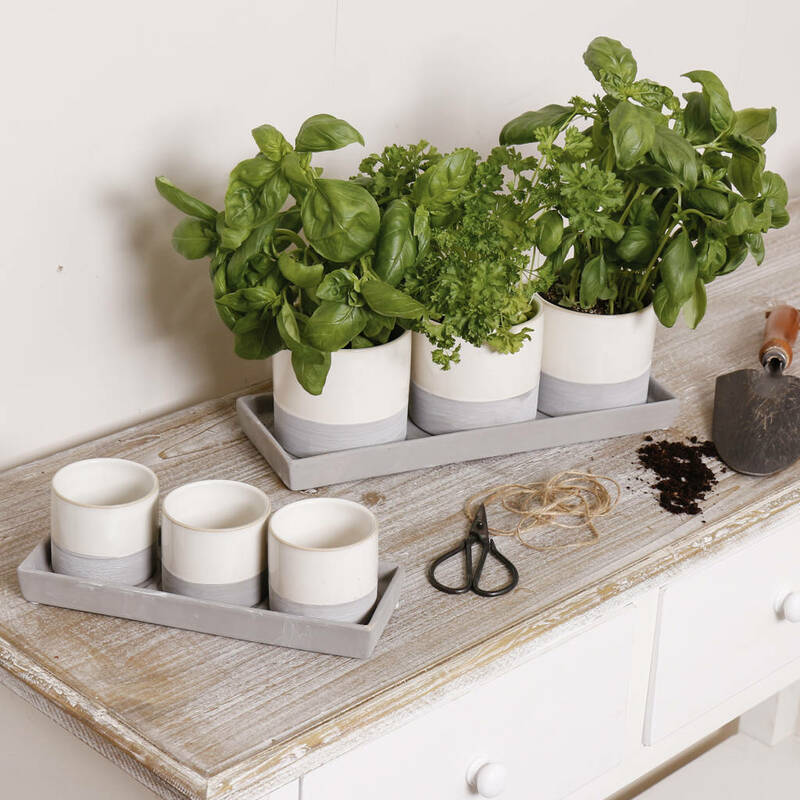 These trios of planter pots feature unusual stone and cream two-tone colour schemes & display trays. 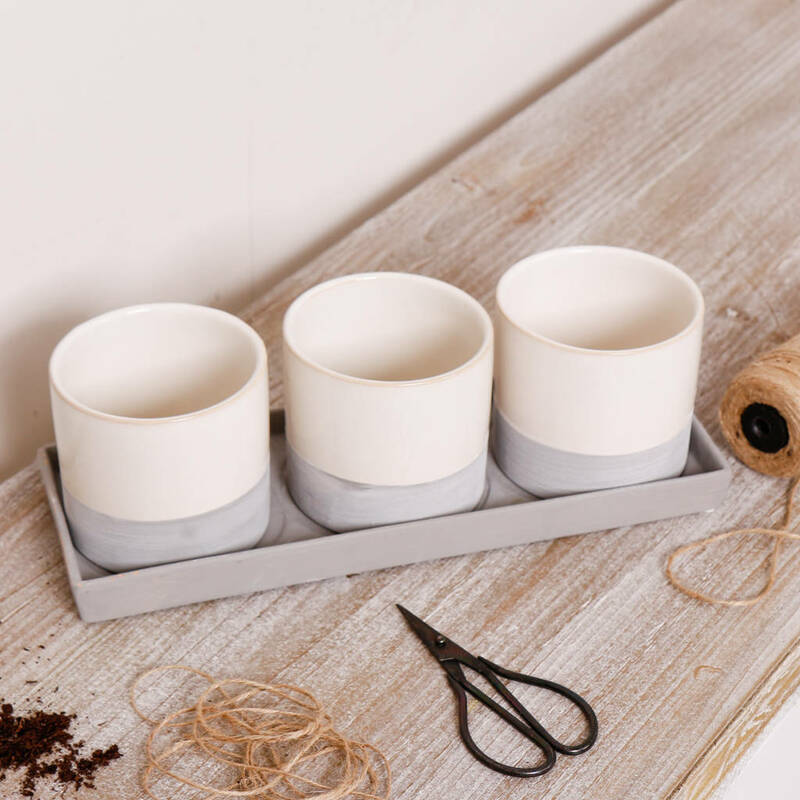 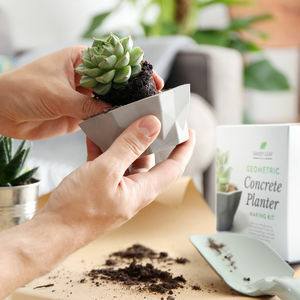 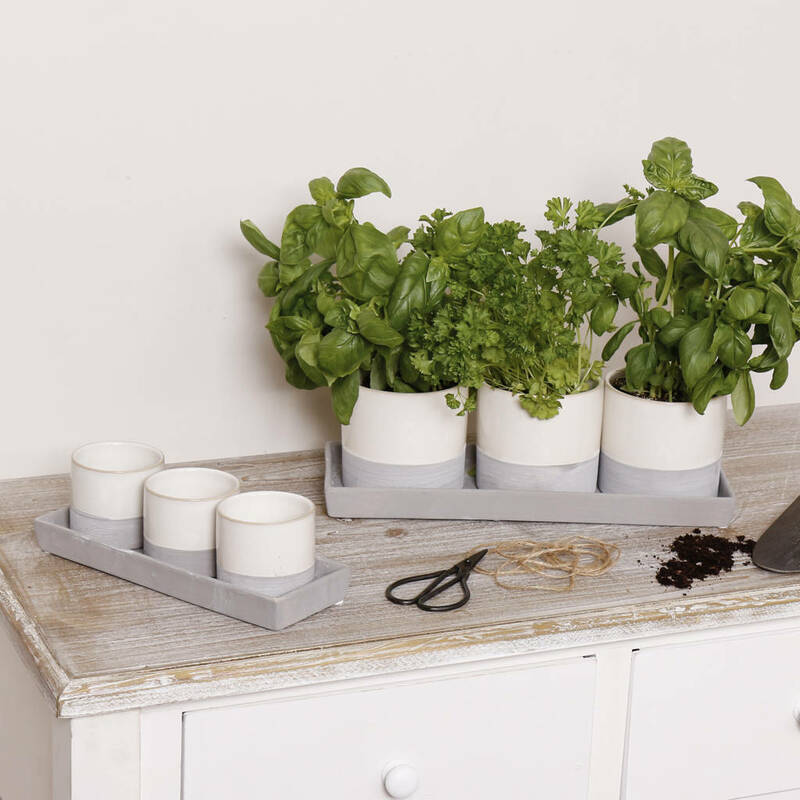 Made of strong, durable ceramic with a mix of hard wearing materials, these unusual planter pot trios are ideal for the home. 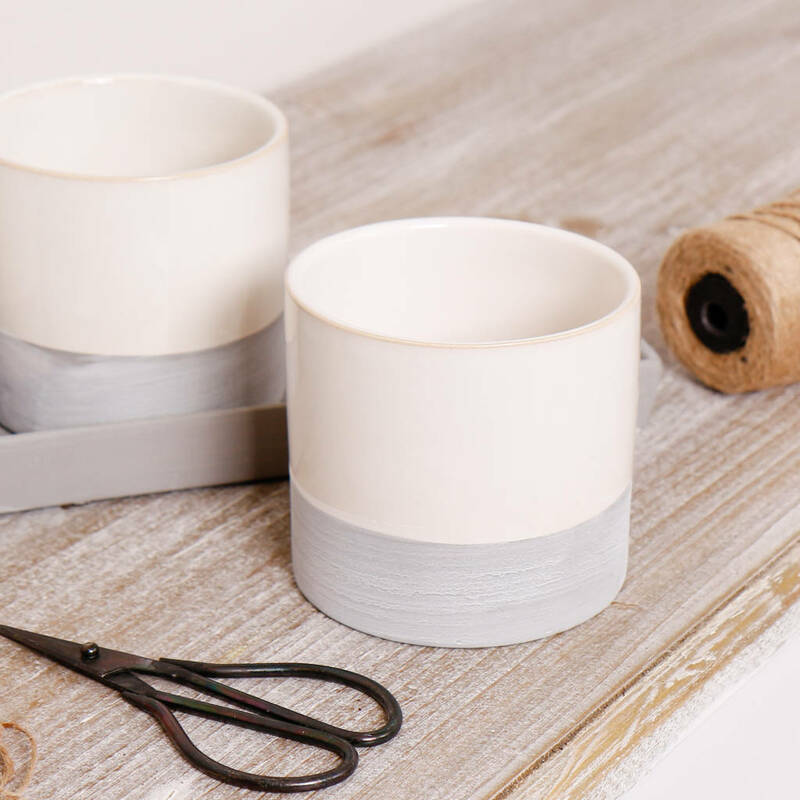 Available in two sizes, these unusual striped plant pots contrast beautifully with green, leafy plant life and are a perfect way to display the work of green fingers! 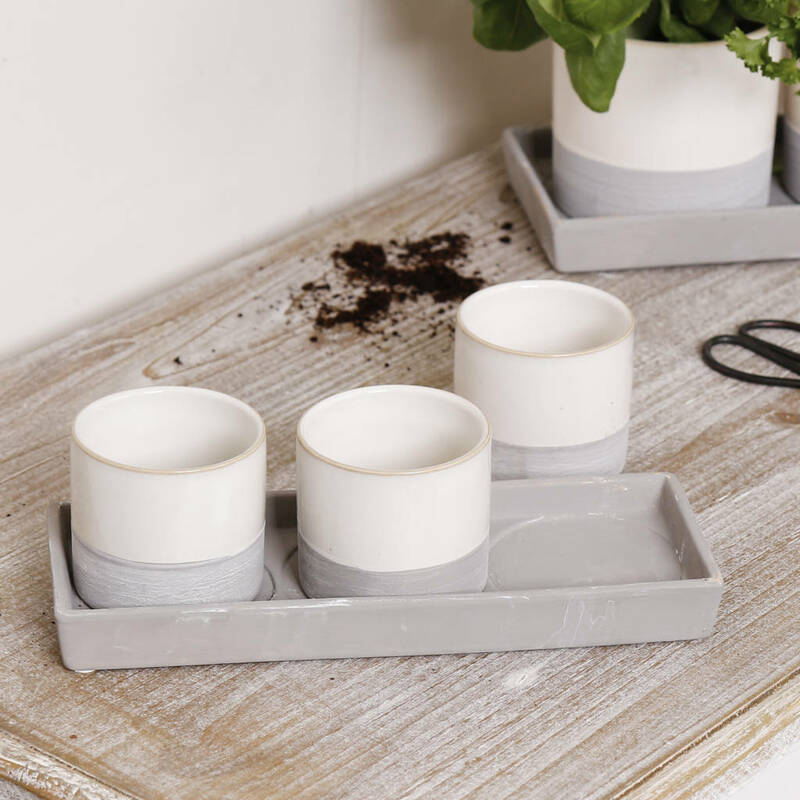 Sat upon long, stylish display trays, these modern style, contemporary plant pots are ideal for succulents, cacti and leafy ferns - perfect for any interior, especially reception rooms or formal. 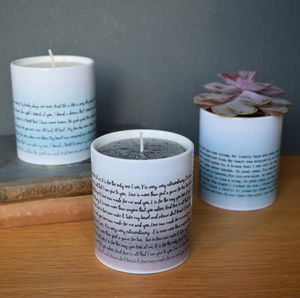 calm accomodation.